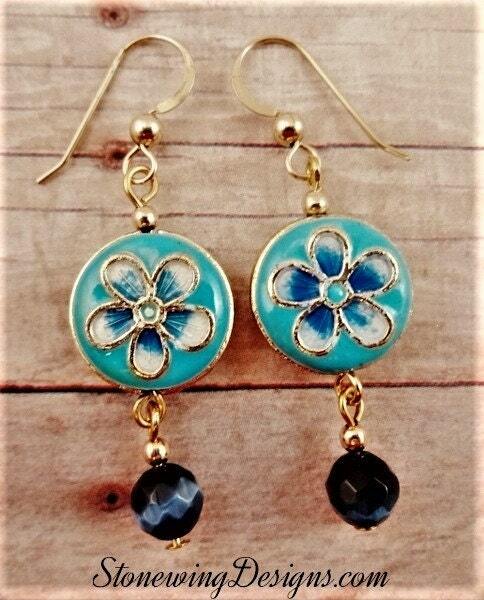 These pretty blue enamel flowers are like a breath of fresh air. 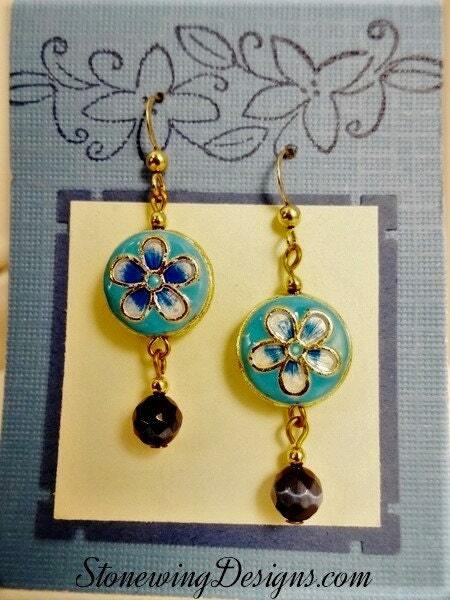 Light, dangly, unique and quality earrings at an affordable price. 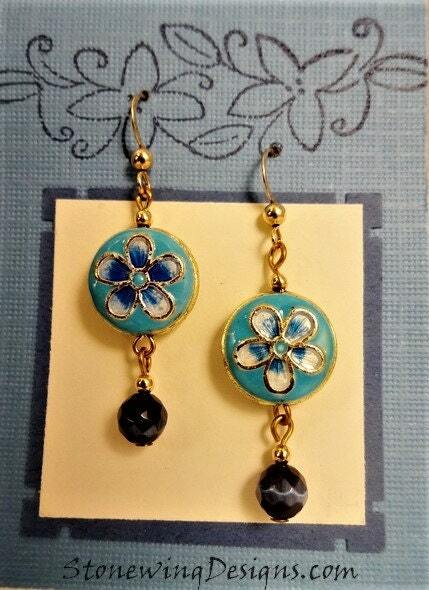 Paired with drops of dark blue fiber optic beads. The ear wires are 14k Gold Filled French hooks. The length from the top of the ear wire to the bottom of the pearl is about 1-3/4 inches.